Who Next After R3's Exit? 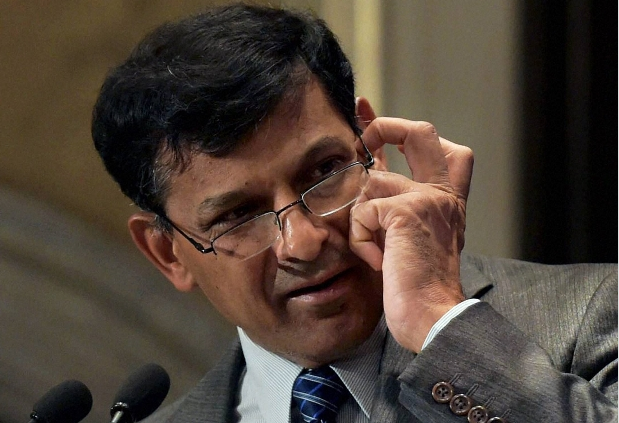 Indian Industry is now looking for clues to find out who will be the next RBI Governor. Below here are the prominent 5 names for the post after R3's exit. Vijay L. Kelkar(Age 74) is an Indian economist and academic, who is currently the Chairman of the Forum of Federations, Ottawa & India Development Foundation, New Delhi and Chairman of Janwani – a social initiative of the Mahratta Chamber of Commerce,Industries and Agriculture (MCCIA) in Pune. He has been appointed as a trustee of Sri Sathya Sai Central Trust on 4 January 2014. He was also the Chairman of the Finance Commission until January, 2010. He was earlier Advisor to the Vajpayee Government-Minister of Finance (2002–2004), and is known for his role in economic reforms in India. Prior to this, he remained Finance Secretary, Government of India 1998–1999. He has close association with BJP leadership. Urjit R Patel (Age 52), current Deputy Governor of the Reserve Bank of India, is an eminent economist, consultant and banker. He was also Advisor of the Boston Consulting Group. As Deputy Governor of RBI, Dr Patel looks after Monetary Policy, Economic Policy Research, Statistics and Information Management, Deposit Insurance, Communication and Right to Information. Arundhati Bhattacharya (Age 60) State Bank of India (SBI) Chairperson Arundhati Bhattacharya is also the front runner among the contenders for the RBI Chief's post. She is the Chairperson of India's largest public sector bank State Bank of India, and was also listed among the most influential women in the world by Forbes in 2015 and 2016. Rakesh Mohan (Age 68) is an Indian economist and former Deputy Governor of Reserve Bank of India. He is the Vice Chairperson of Indian Institute for Human Settlements. He was appointed in 2012 as an Executive Director of the IMF for a three-year term. He was an adviser to numerous ministries in Government of India, including industry, and finance, and later became an important part of Indian economic reforms in the 1990s, and his report under the 'Rakesh Mohan Committee on Infrastructure', became a "landmark document in the evolution of thinking on economic policy issues. Ashok K Lahiri (Age 63) was the Chief Economic Adviser to the Government of India during Vajpayee Government.